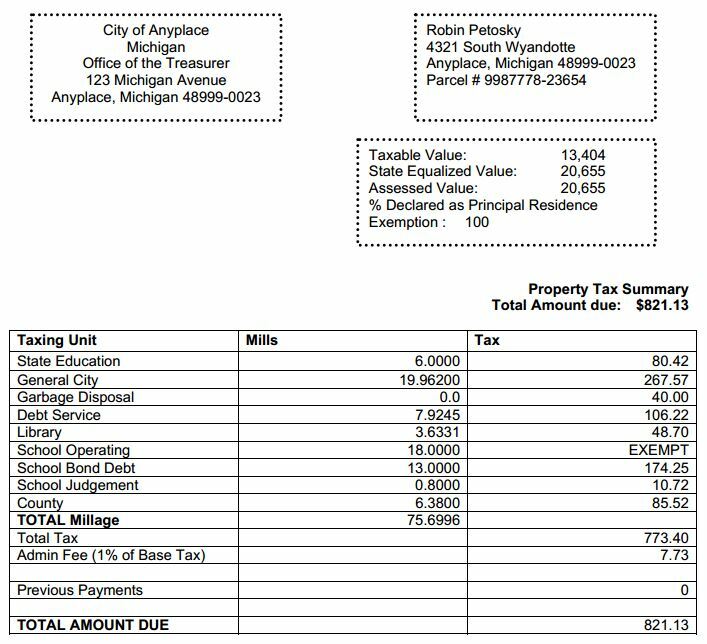 This example property tax statement shows how many counties itemize their property tax liabilities. You can see the most important parts of the statement - the assessed value and total tax due - featured prominently. Remember that your county may send you a property tax statement that looks different from the example shown. To learn more, contact your local property tax assessor's office.